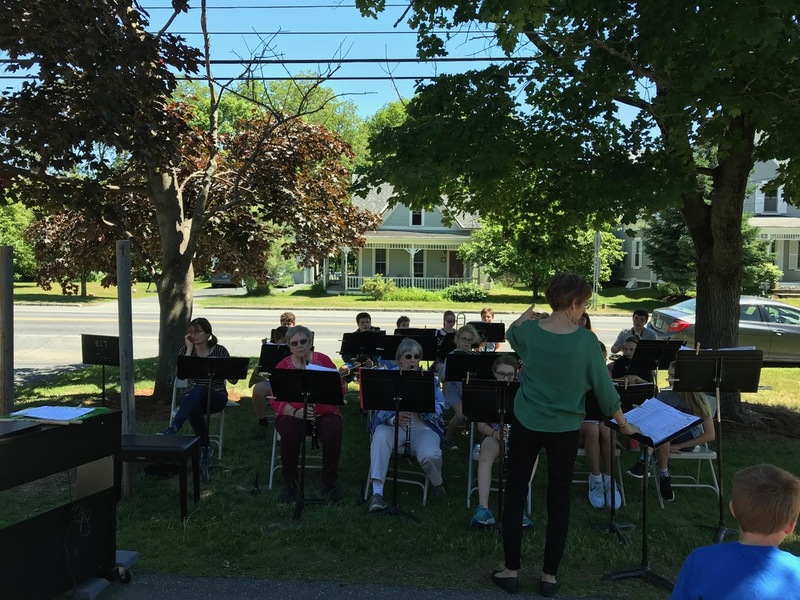 The Lyme School band (and a few community members) treated us to an outdoor concert Friday afternoon. 8th grade musicians returned to play a final time with the 5th and 6th grade band members. Thanks, Damaris, for the musical afternoon!